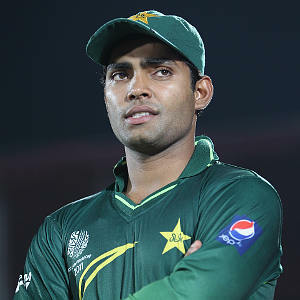 So another controversy hits Pakistan Cricket Team just before the starting of Pakistan Tour of Zimbabwe as Pakistani Middle Order Batsman Umar Akmal declared himself 100% Medically fit to play for Pakistan while he was declared unfit by Pakistan Cricket Board PCB earlier. Umar Akmal has said that i will meet the Pakistan Cricket Board Chairman Najam Sethi soon and will tell him all the facts that i am totally fit. Umar also said that i have brought my medical reports with me which proves that i am 100% fit. Earlier there were media reports that Umar Akmal is suffering from back pain. some even said that Umar has suffered from seizure many times. Young Umar Akmal was playing West Indies T20 League recently from where he has came back to Pakistan. Lets see if he will be included in Zimbabwe tour or he will face a action from PCB for his statements.